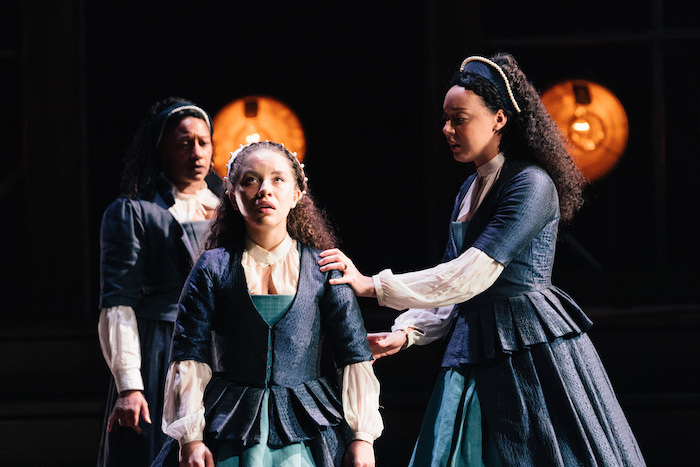 “We are only as powerful as the stories we tell.” So proclaims poet and activist Emilia Bassano, as she wrestles back her own story in Morgan Lloyd Malcolm’s 2018 Globe hit – its raw, feminist, revolutionary power just as potent in this West End transfer. This entry was posted in Journalism, Theatre and tagged book tickets, broadwayworld, charity wakefield, cheap tickets, emilia, female, feminist, gender equality, globe, london, morgan lloyd malcolm, play, poet, review, shakespeare, theatre, ticket deal, west end, women, write. Bookmark the permalink.